Updated Wednesday April 10, 2019 by SLL. 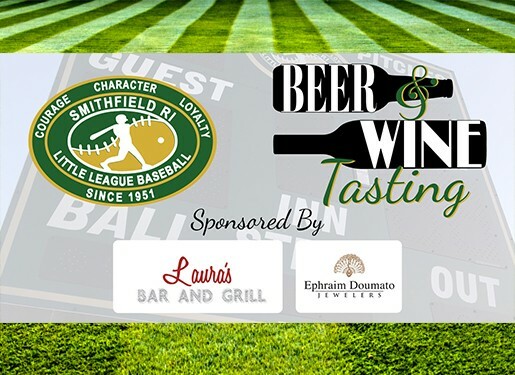 Sample some of the finest brews and wines while supporting youth baseball in Smithfield on Friday, May 18 from 6 to 9 p.m. at the Smithfield Elks Lodge. Thanks to generous donations from Laura’s Bar & Grill and Ephraim Doumato Jewelers, all guests will receive a glass from which to sample some of the finest – and not so known – beers and wines.